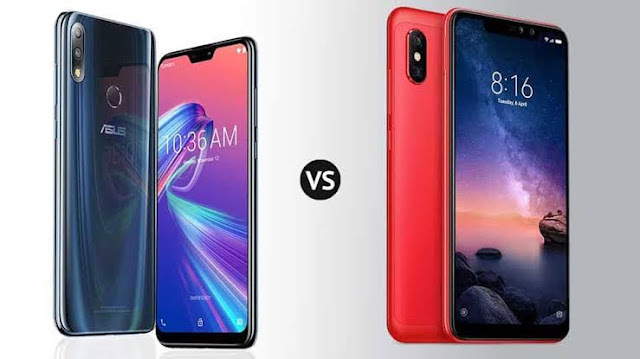 Asus's Zenfone Max Pro M2 vs Xiaomi's Redmi Note 6 Pro: Is the competetion still the same? The two phones have been totally different in terms of design as the Redmi Note 6 Pro has a metal back and the Zenfone Max Pro M2 has a premium looking glossy designed polycarbonate body. Well the metal design can be more durable and the polycarbonate body can give you better looks. According to us, Redmi wins here as Way2futuretech always believed in more safety and durability of the smartphone but if you want your phone to be glossy and shiny you can say Asus has done awesome job. But the display section is exactly opposite. The Asus Zenfone Max Pro M2 beats the Redmi Note 6 Pro here by small margin. Both of the phones have notch on the top of the screen. But Redmi Note 6 Pro has a bigger notch comparitively. It does have an extra camera but Asus also fits the front flash in the smaller notch which the Redmi Note 6 Pro lacks. Performancewise, Asus ZMPM2 clearly beats the RN6 Pro. Xiaomi continued the sd636 in the RN6 Pro that was also used in the predecessor. That can be the biggest deal breaker with the Note 6 Pro. Whereas Asus brings the best in the segment, the sd660 AIE clocked at 1.95 GHz. It also runs the stock Android version 8.1 that confirms lag free experience and beats the MIUI overall. Cameras was the most criticized part of the Zenfone Max Pro M1. Be it the front or rear one, the ZFMPM1 failed to impress its users with the awkward camera UI. But this time Asus has come up with one of the best combinations of the segment. This section had been the most competitive among these two. 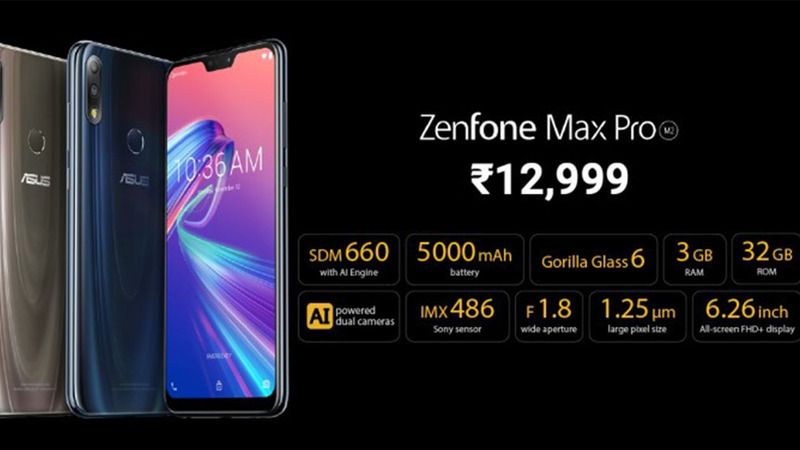 Though Zenfone Max Pro M2 have only a 13 MP sensor in the front where Note 6 Pro has the 20+2 MP dual camera setup but in the rear side Asus got a f/1.8 aperture that helps out in low light photography. We still have to check the real life performance of the Asus Zenfone Max Pro M2 but in paper both the phones have their own goods and bads. So this one goes for a tie. Pricing always has been dominated by Asus. Be it the predecessors or the latest launches, Asus has brought its Zenfones cheaper than Redmi Notes. The predecessors had a difference of 2,000/- INR in each variant. Here the pricing is same for the ram/rom variants, but we have to consider the processors. And still the ZFMPM2 has an edge with its 3GB ram variant which is priced at just 13k in India. Here also, Asus dethrones Xiaomi with its pricing. This section is clearly captured by the Zenfone Max Pro M2 with the mammoth 5000 maH battery. The Redmi Note 6 Pro also has a good battery support with a big 4000 maH battery, but still, better is always welcome. It also has the triple slot for dedicated memory card. The only thing Zenfone lacks and Redmi provides is the fast battery charging support. Both the chipset support fast charging but Asus didn't enabled the feature. On the other hand, Redmi has enabled the feature but didn't bundled the fast charger in the box. And if we compare neutrally, the fast charging doesn't make a huge difference in charging time. And the huge 5000 maH doesn't needs to be charged to much. So it makes the deal little bit balanced. We can clearly say, Asus wins here with a huge margin over the Redmi Note 6 Pro. The competition is not same like before, as Asus has upgraded its most biggest con, the camera section. Now Asus's Zenfone Max Pro M2 is not just an alternative for the Redmi Note 6 Pro, its definitely better than it. Still if you are a fan of Xiaomi, love the MIUI experience and want dual cameras in the front side you can go with the Note 6 Pro.